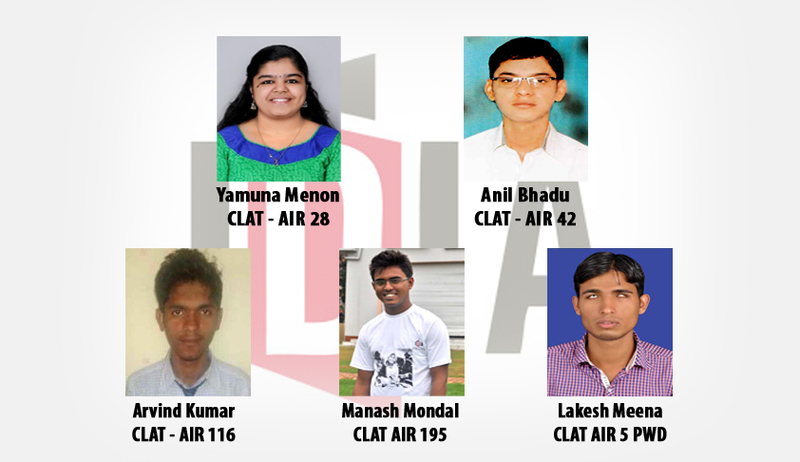 The Increasing Diversity by Increasing Access (IDIA) to legal education initiative continued its success this year as well, with five of their scholars making it to the leading law schools in India. Supporting IDIA’s efforts, the NLS administration has waived the tuition fees for two of our scholars who made it to NLS this year (Yamuna Menon and Anil Bhadu). Acknowledging their efforts, Prof. Shamnad Basheer wrote on his blog: “Both these Vice Chancellors (Prof. Rao of NLS and Prof. Singh of NLU Delhi) are true leaders in the legal education firmament, in terms of their commitment to social justice, an ideal routinely taught at law schools. Unfortunately, many of the other Vice Chancellors have not been as responsive to these ideals, but hopefully, we will convert them in the years to come. Despite these fee waivers, IDIA still needs to work up a decent sum to cover their stipendiary expenses: books, clothes, travels, food, internships etc. This works out to around Rs 1 lakh a year. They have invited any support that can support these brilliant students. As for the remaining three scholars, they need approximately Rs 3 lakhs a year to put them through their respective law schools. They’re writing to the respective vice chancellors of the law schools (HNLU Raipur and NLU Jodhpur) where they’ve been admitted to offer them a fee waiver, but they’re not sure if this will come through in this year. They have invited any support in this regard as well. If anyone knows these vice chancellors, they request them to help them by writing to them. “After all, IDIA is helping them by fostering more diversity within their classrooms, and the least they can do is to waive fees for students at the bottom of the financial pyramid,” Prof. Basheer wrote. All details to contribute to the education of these underprivileged scholars are available on their website. Anil Bhadu’s father is a truck-driver in Rajasthan who struggles to make ends meet. Despite these adverse circumstances, Anil really burnt the midnight oil and scored well in CLAT, securing admission to the National Law School (NLS), Bangalore. He had an All India CLAT rank of 42! Arvind Kumar hails from the small village of Maitriwara in the Jalore district of Rajasthan. His parents are small subsistence farmers; in the non-cropping season, his father works as a manual laborer and manages a paltry Rs. 100-150 per day to sustain the family. Due to his family’s financial predicament, Arvind too helps out with household work and holds tuition classes for his neighbors’ children after school. Arvind went to secure an All India Rank of 112 (in a reserved category) in CLAT 2015, enabling his admission into National Law University Jodhpur. Lakesh Meena’s is perhaps one of the most inspiring stories in the annals of IDIA. A visually challenged student, Lakesh belongs to a family with very modest means in Rajasthan, as his mother is a home maker and his father is a farmer. He is a student of the Netraheen Vikas Sansthan in Jodhpur, which is a Hindi medium institute for the blind. In spite of all these obstacles, Lakesh went on to secure the All India Persons with Disabilities Rank of 5 in CLAT 2015, and has gained admission into the WB National University of Juridical Sciences, Kolkata. Manash Mondal hails from Dibrugarh, Assam. He, unfortunately, lost his father at a very early age, and his mother, a home maker, struggles to make ends meet with a monthly income of just Rs. 4,000. Manash has made not only his mother, but the entire IDIA family proud by securing an All India Rank of 184 (in a reserved category) in CLAT 2015, paving way for his admission into the Hidayatullah National Law University, Raipur.